Beside natural beauty, Niagara Falls has a long and historic military history. As a key ground in-between Canada & the United States, important battles deciding the fate of numerous nations have been fought. It’s a rare treat to be able to visit a historic site such as Lundy’s Lane, and then quickly be at the foot of one of the Wonders of the World, all within less than a 5km distance. Below is an accurate account of an important piece of North American History — the Battle of Lundy’s Lane. 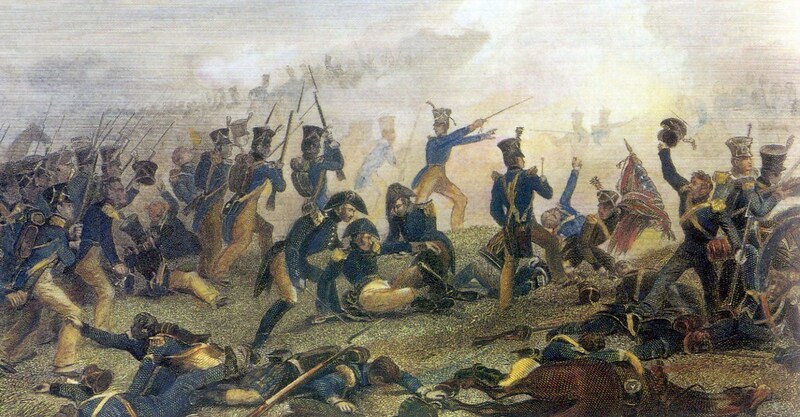 One of the bloodiest battles of the War of 1812, the Battle of Lundy’s Lane which was fought on July 25th, 1814 was also one of the bloodiest battles ever fought in Canada. Although early efforts at invading Canada at the beginning of the war were repulsed by British forces, the Americans did not stop in their efforts to take over the country. In early July, 1814, Major General Jacob Brown launched his invasion along the Niagara River and enjoyed some success in capturing Fort Erie and forcing the British to retreat to Fort George. Brown lacked sufficient artillery to attack Fort George, so Brown instead occupied Queenston, the site of an early battle nearly two years before. On the British side, Lieutenant General Gordon Drummond arrived at Fort George, he ordered his subordinate Lieutenant Colonel John Tucker to advance from Fort Niagara down the east bank to force Brown to retreat from Queenston. It had the opposite effect as Brown advanced northward and ran into Drummond’s forces at location called Lundy’s Lane. Lundy’s Lane itself was on high ground and the British used their artillery to drive back an American brigade under the command of Winfield Scott. Scott attempted to outflank the British position and managed some success, but was driven back by a concerted counterattack. At this point, more British and American forces were massing around Lundy’s Lane. With Scott’s forces suffering from heavy casualties, Brown had arrived with the main body of US forces and launched a larger attack against the British positions along Lundy Lane. The attack itself managed to drive the British back and the arrival of the British column that was originally sent to force Brown to retreat from Queenston arrived on the scene. However, they were tired and not in condition to face an American assault which also caused them to retreat. It appeared for a time that the American forces had won the day. The British commander Drummond was not deterred however and launched three counterattacks over the rest of the day. While strong in nature, none of the counterattacks succeeded in their objected to drive the Americans off the field. The final counterattack was launched near midnight and despite the cover of darkness failed to push the Americans from the field. Despite winning the field and holding their ground, the US troops under Brown were forced to retreat due in part to the high number of casualties they received combined with an inability to get fresh supplies and reinforcements. The British were arguably in worse shape as they were exhausted by the battle and unable to do much more than re-occupy the field of battle after the Americans had left. The British, having retaken Queenston, decided to move their forces to that location while the Americans went back to Fort Erie and destroyed the old British fortifications in the area. Although the result of the battle itself was technically a tactical victory by the Americans, it was a strategic one for the British as it drove back the US forces and shifted the balance of power in the region from the Americans to the British. The Battle Ground is located less than 5 KM from our hotel, at 6151 Lundy’s Lane. Ask our front desk upon check-in for driving or walking directions. It’s an important historic site that shaped North America, and is not to be missed.